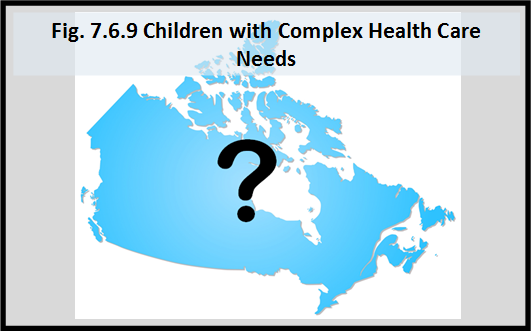 The number of children with complex health care needs living in communities across Canada is unknown. Practitioners report that the technological and medical advances have improved survival rates for children born with life-threatening physical conditions. This has resulted in an increase in the number of children requiring specialized community care. Massive trauma and degenerative disease also result in complex care needs. 1Dewan T, Cohen E. Children with medical complexity in Canada. Paediatrics & Child Health. 2013;18(10):518-522. https://www.ncbi.nlm.nih.gov/pmc/articles/PMC3907346/-accessed June 17, 2017.